LGBT Agenda will not stop with legalized gay marriage. 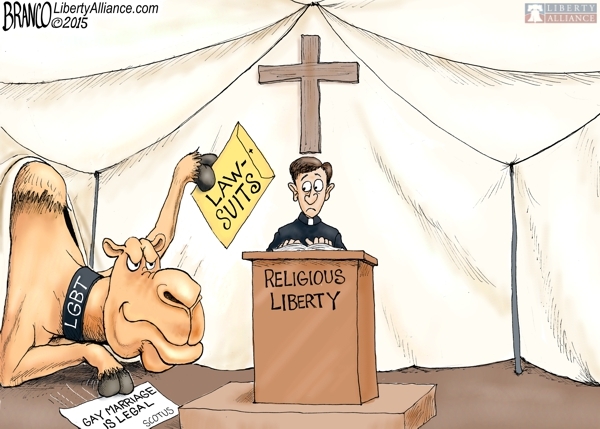 Now it is on to forcing Christian churches to preform gay marriage ceremonies through lawsuits. Cartoon by A.F.Branco ©2015.